This is my typical daily warm-up routine, consisting of three types of exercises: right hand, left hand and a combination of both. 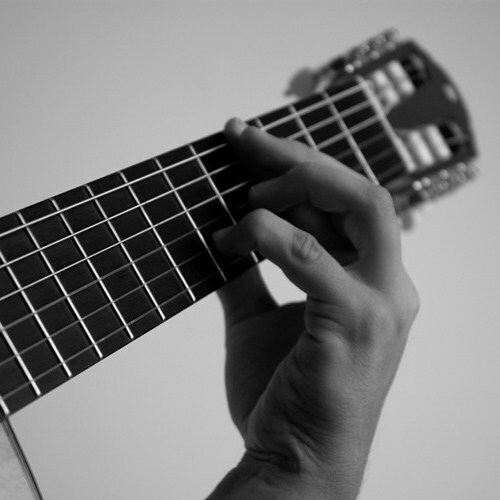 They are all basically adapted exercises from Abel Carlevaro’s books 2-4 from his Serie didactica para guitarra. To download the score free of charge just add it to cart below. thanks for sharing, it’s great! And I admire your playing, there is so much passion and engagement when you are playing, especially the Sor studies, great! last try, I don’t know why I can’t post my comment, but I’m old ( 70 years) and …too old for posting? No, I don’t think so. Thank you for your very good warm-up exercises. I like your playing with passion und engagement, especially the Sor pieces. I’m only a beginner, I try playing the guitar since 5 years and my English isn’t very good. Dear Barbara, thanks so much for your kind words, much appreciated. Lots of respect for picking up the guitar at your age and I wish you all the best exploring this wonderful instrument. If you ever have any questions, don’t hesitate to email me. I speak German as well. The reason why your comments were not published immediately is that by default the first comment must be approved first on most blogs. Because I was away travelling in the United States for the past month, I could only publish them now. Thank you for these exercises. However, it looks like they are no longer available? Hi Phil, they are back up now! Thanks for letting me know, looks like I had an incompatibility issue with my store plugin. Best, U.
Hi Uros. I love your tutorials – so helpful – and your playing is simply amazing. I’d really like to use your 15 minute warmup but I’m unable to download the score, as the checkout form won’t allow me to choose a (US) state – Virginia – in order to complete the online transaction. If there’s any other way to send it to me I would greatly appreciate it. Thanks again for all the inspiration your videos provide all around the globe! Dear Mark, so sorry I missed your comment. The store is now open for all countries, could you please try again?